Welcome to Red Eye Collection. We are a passionate team that loves to capture beautiful weddings throughout the East Bay. If you love Pleasanton as much as we do, you know that it hosts some lovely venues; the surrounding communities offer stunning spots as well and we’re proud to showcase some of the weddings we’ve photographed. Just a few of these locales include Sunol, Livermore and San Ramon. If you want a photographer who will anticipate every special moment of your wedding day, you’ve come to the right place. Our years of experience have taught us how to do exactly that. 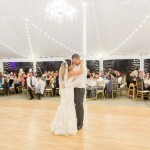 We will enhance your day and provide you with photos you will forever cherish.